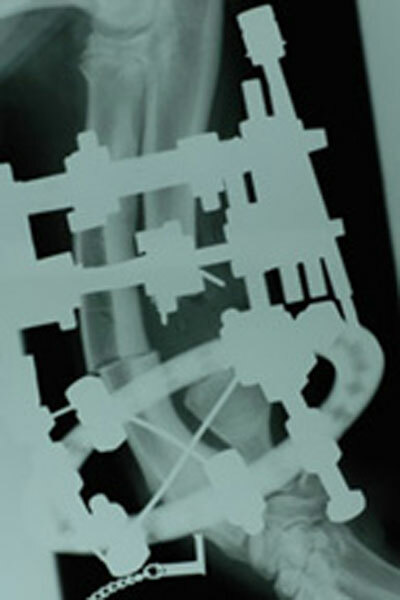 Growth deformities can be challenging to manage and can require complex and multiple surgeries. We stock an extensive range of linear and ring external skeletal fixator systems that enable management of simple and complex deformities. 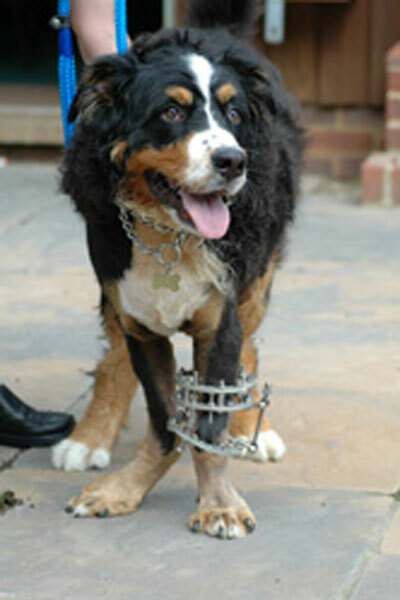 Bernese Mountain Dog with carpal valgus deformity managed with a ring fixator. Xray of Bernese Mountain Dog. 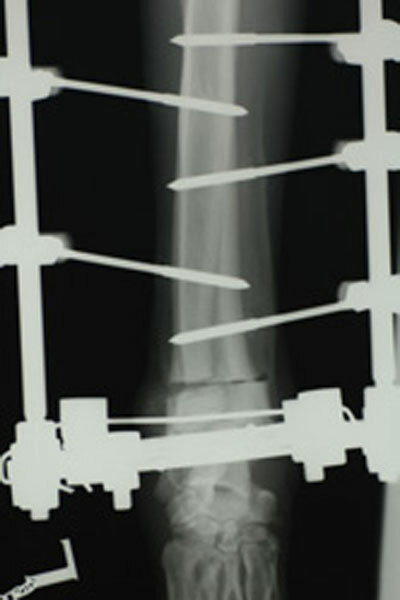 Carpal valgus deformity treated with a hybrid fixator.